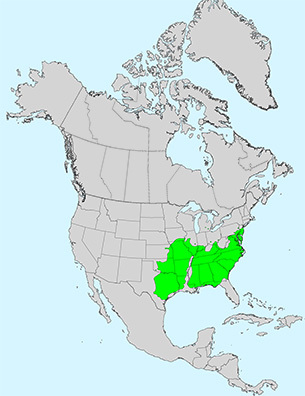 Leaf:Alternate, simple, 5 to 8 inches long, thickened, with 3 shallow, bristle-tipped lobes near the end of the leaf, upper surface lustrous green, lower surface paler with orange-brown pubescence. 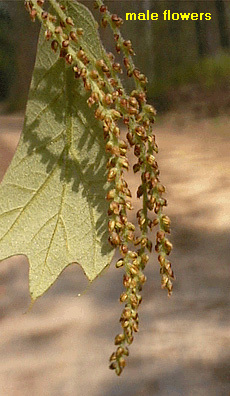 Flower:Species is monoecious; males 2 to 4 inch long hanging catkin; females small, single or paired. 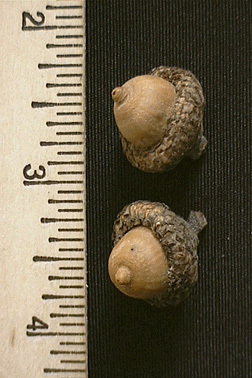 Fruit:Acorn, nut 3/4 inch long often striated, light brown, cap covers about half of the nut and is covered with loose, hairy scales. 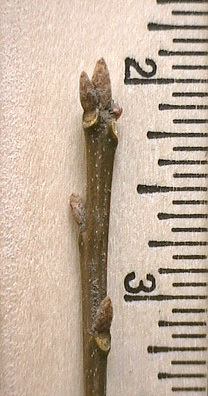 Twig:Stout, dark brown and scruffy-hairy, reddish brown buds are 1/4 inch long, sharp, angled and fuzzy. Bark:Very dark (almost black), rough, with blocky plates and splits. 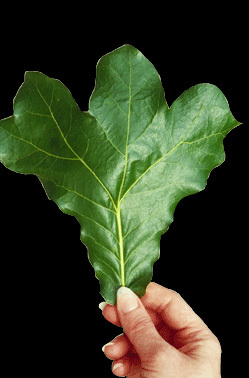 Form:A small sized tree (20 to 30 feet tall) generally with poor form. 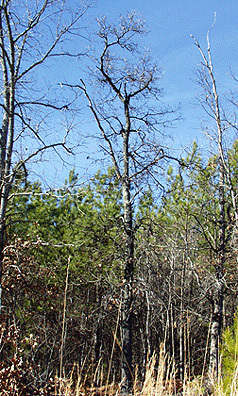 It typically has a short trunk with a round crown made up of twisted limbs.